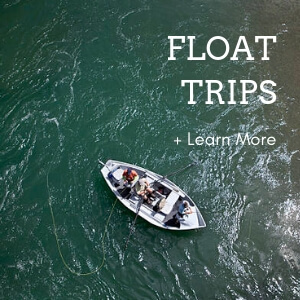 The Aspen area is home to three world-class rivers, the Roaring Fork, the Frying Pan, and the Colorado rivers. Flowing through the heart of Aspen and the Roaring Fork Valley is the Roaring Fork River. The Roaring Fork is a beautiful river, small enough to feel intimate, yet powerful and scenic. The “Fork” begins at the Continental Divide around 12,000 feet and flows 70 miles before joining the Colorado River. Several tributaries flow into the Fork expanding it along the way. The Frying Pan feeds into the Fork in the quaint little fishing town of Basalt about halfway down the valley. 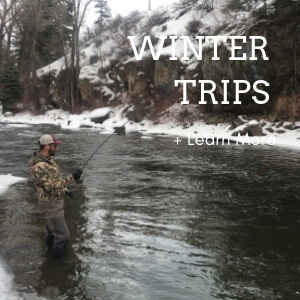 It’s designated as Wild Trout Waters from Aspen to Upper Woody Creek and as Gold Metal from its juncture with the Frying Pan to its end in the Colorado. 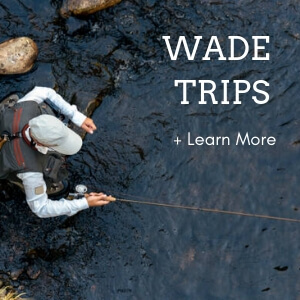 Wade fishing in the Fork is possible from several access points throughout the valley. There are multiple stretches to float from Upper Woody Creek to Glenwood Springs. Which stretch we fish on a given day depends on river flows, anglers experience and current hatches. As the Fork winds down the valley it enters more open terrain with flows suitable for year around float fishing that is great for all levels. The Frying Pan starts high in the Sawatch mountains. After X miles the river is dammed for the formation of Ruedi Reservoir. From the dam, there is a 14 mile stretch of gold metal tailwater before it flows into the Roaring Fork. The mighty Colorado River starts near the high peaks of Rocky Mountain National Park and flows through the west to the Pacific Ocean. We are fortunate to have multiple boat ramps at several points from Glenwood Springs to Rifle Colorado. It is most often worth the extra drive time to experience the exceptional fishing and hatches of the main drainage of the West.